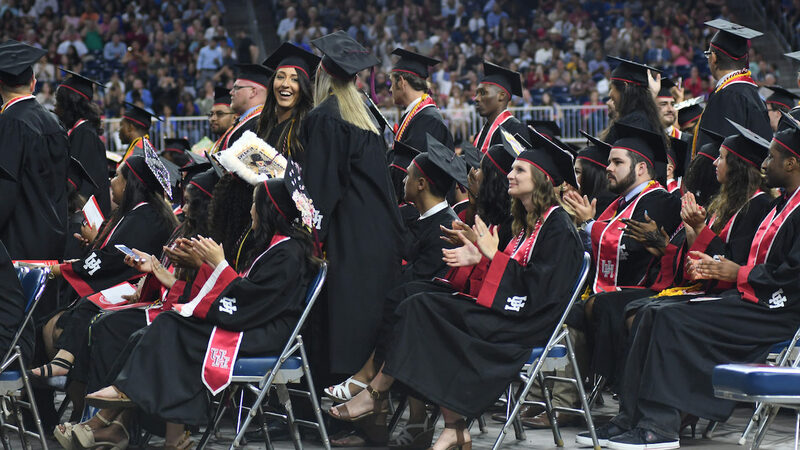 The College of Technology is among the fastest growing colleges at the University of Houston, with diverse academic programs that inspire future leaders to apply the power of technology and innovation toward solving real-world challenges. Engaging learning experiences and deeply rooted industry connections prepare our students with the knowledge and skills that help them land rewarding careers. Earning a College of Technology degree opens up a world of opportunities. Join us on the journey toward your successful future. Construction has begun on the new University of Houston College of Technology building. When doors open in fall 2019, the facility will be home to new programs and innovative, state-of-the-art laboratory space to impact the Houston-area with skilled, thoughtful professionals. Exams got you stressed? We?re calling a time-out! Come out, unwind, and enjoy hot dogs, pizza, and shaved ice from Bahama Buck's. Celebrate the achievements of our College of Technology graduates.